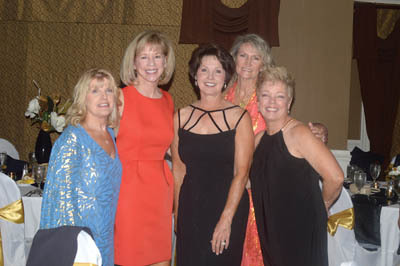 Fox Den Country Club celebrated its 50th anniversary with a member party in Fox Den Clubhouse, 12284 N. Fox Den Drive, Saturday, Aug. 11. “There wouldn’t be a Fox Den Country Club without you all,” Greg Nesbitt, the club’s general manager, told members. Starting with 200 members in the late 1960s, it now has almost 700. Fox Den Country Club was founded in 1968 by Chester Massey, a Knoxville insurance executive. Among the members who attended were Betty Thomas, a member since 1969, and Bill Fogarty, who celebrated his 92nd birthday Wednesday, Aug. 15. As part of the festivities, state Rep. Jason Zachary (R-District 14, which includes Farragut) presented a proclamation honoring the club to Nesbitt and FDCC Board of Directors vice president John Smoot. “Mr. Massey found a way to make his vision a reality by founding the club in 1968 and opening the golf course the following year,” Zachary read from the proclamation.